144pcs. 10ss Flower Crystal AB Swarovski Rhinestones Style # 2728. 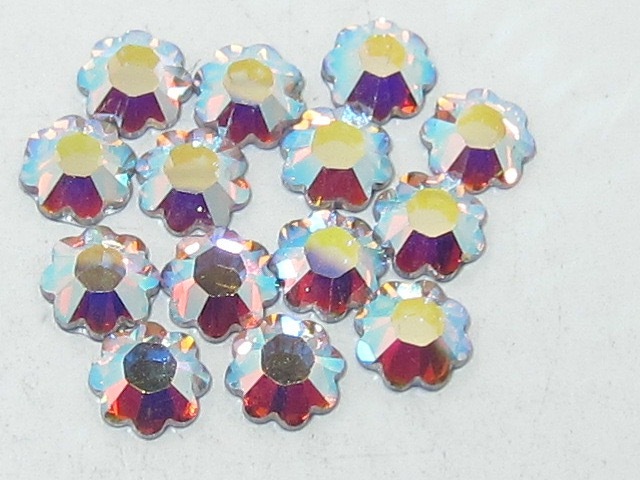 These Crystal Rhinestones are Hot Fix Silver Foil flatback.